Take a rest and relax by Lake Bohinj, walk to the Savica Waterfall and hike along the Mostnica Gorge, or take a ride to Vogel by cable car. 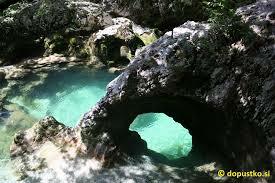 WATERFALL SAVICA – Bohinj Lake has numerous inflows, the most important one is the Savica. 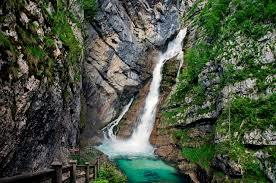 Its water bursts from the underground of the Dolina sedmerih jezer (The Seven Triglav Lakes Valley) in the walls of Komarča as Savica Waterfall, which is the most famous Slovenian waterfall. 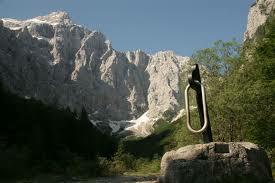 You can drive by car from Ukanc (4 km) towards the Savica Waterfall and park at the hut (Koča pri Savici). If you prefer to walk, you can start at Zlatorog hotel in Ukanc. 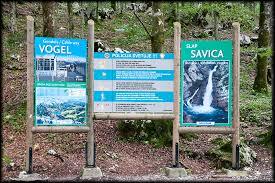 Just follow the signs and in about an hour you will come to the hut under the Savica Waterfall. 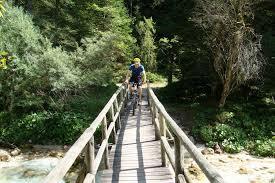 Then you continue to stone bridge over the Mala Savica, where you pay entrance fee. 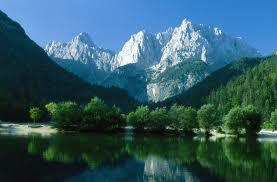 Walk above the Savica gorge and you will access the viewing point (approximately 20 minutes walk). THE ALPINE DAIRY MUSEUM is arranged in an abandoned village dairy where cheese was still produced only decades ago. The original equipment has been preserved, and the items exhibited tell the story of the life of the alpine herdsmen, the work in the mountains, and Bohinj’s pastures, settlements, and alpine dairy cottages. 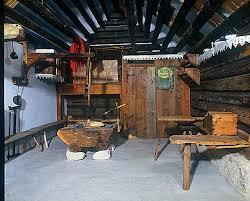 One of these houses, a wooden herdsman’s house from Mount Zajamniki built in 1849, has been set up in the museum. MOSTNICA GORGE – Cristal clear Mostnica stream has carved a 2-kilometer gorge just above the village of Stara Fužina, which is easily accessible right from the shore of Bohinj Lake. 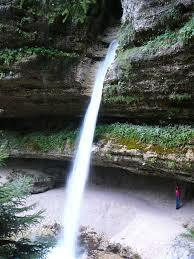 In some places the stream bed is extremely narrow and the gorges are up to 20 meters high. In the upper part of Mostnica the valley widens. 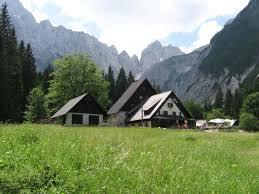 This is the idyllic valley of Voje with splendid meadows and (mostly) holiday houses. At the end of the valley there is a nice local café and a pretty Voje waterfall. 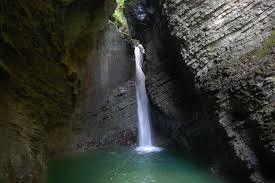 Canyoning is also possible in the gorges of Mostnica. This magnificent ‘Kingdom of Zlatorog’ makes your heart leap in every season of the year. Enjoy the beautiful colours, the breathtaking views and the abundance of opportunities for active holidays in the mountains. Retrace the steps of the first mountain guides from the Slovenian Alpine Museum along the Triglavska Bistrica Trail to the Vrata Valley. 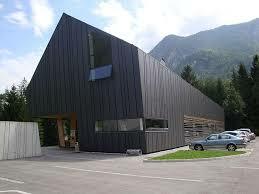 MOJSTRANA, THE ALPINE MUSEUM – In the Slovenian Alpine Museum the past and the future go hand in hand. A rich collection of items with diverse historical stories, rich photographic and archive material, and a comprehensive professional booklet give the visitor the chance to grasp the popularity and importance of the mountaineering activity in the Slovenian territory. 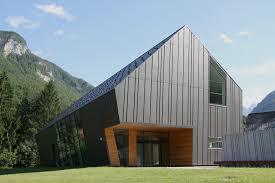 The Slovenian Alpine Museum will preserve the mountaineering tradition of the Slovene nation by displaying historical activities of the Slovenes in home and foreign mountains, and by showing the beauty and worth of the mountain world. 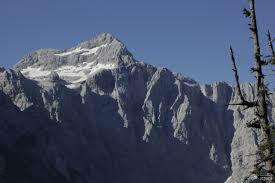 It will educate the young in the spirit of mountaineering and respect of nature. 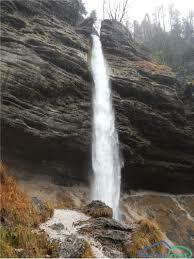 WATERFALL PERIČNIK – Vrata is our most famous and also the most popular alpine valley. 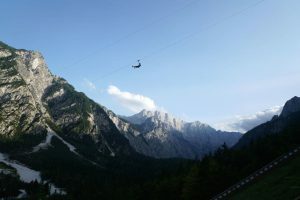 At the upper end it “crashes” into the wide Triglav north wall, and a few-minute walk from the parking lot will be rewarded with a splendid view of the wall. You will feel its power even if you don’t have the intention to hike further towards Triglav, and have a look at the magnificent symbol of Slovenia from up close without special effort. On the way to Vrata a stop-over at Peričnik waterfall is a must. 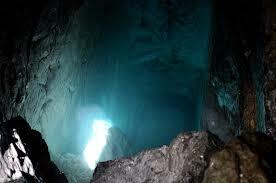 Actually there are two of them, and we can even walk underneath the lower one! 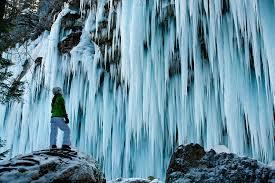 A great way to cool down in summer and a spectacular experience during winter when the waterfall freezes. 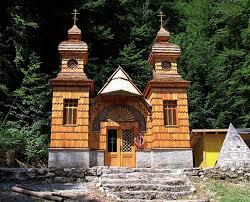 THE HUT ALJAŽEV DOM is located at the edge of a a clearing in the upper part of the valley Vrata. 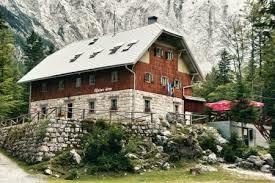 It is named after Jakob Aljaž (1845-1927), the Triglav priest from Dovje, the composer and mountain writer, who has great merits for the development of Slovenian mountaineering. There is a marvellous view from Aljažev dom mountain hut on the mountains and peaks which surround the Vrata Valley, the view on the north wall of Triglav is the most beautiful. Towards the east rise the walls of Cmir, on the south side the walls of Begunjski vrh, and on the right one can see the peak of Triglav above the wall Triglavska stena. From the monument the whole Upper Vrata Valley to the wall Triglavska stena and the Luknja Pass between Triglav and Pihavec can be seen. On the west there are steep slopes of Stenar, Dolkova špica, Škrlatica and Rokavi; towards the north there are the walls of Dovški križ, Škrnatarica and Kukova špica on the west side of the valley, and on the east side the slopes of Črna gora covered by woods. THE TRIGLAVSKA BISTRICA TRAIL starts at Pri Rosu, at the valley’s entrance close to the border of the central zone of the park, and runs up the valley. Most of the trail follows the paths along the Triglavska Bistrica and only meets the road through the valley in several short sections. The trail, extending to the valley head at the foot of the Triglav North Face, measures 10 km in length and takes about 3 hours of walking, with a visit to the Peričnik Fall included. The visit to the Triglavska Bistrica Trail can be tailored to the available time and desired purpose of the visitors, who can only take a look at those sections of the trail which they consider most interesting. The trail is marked with TNP information posts, and with information boards set up at several information points along the trail. 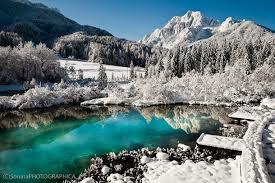 Triglav, after which the only Slovenia’s national park was named, is the mountain and the symbol that attracts visitors, mostly mountaineers, to the valley of Vrata. The Triglavska Bistrica, a stream that gave its name to the theme trail, originates at the foot of this majestic mountain. When taking the trail, look for “Triglav”, the mascot and official logo of the trail, who will be your companion and guide along the way until you feast your eyes at the real Triglav when you have come to the end of the trail. 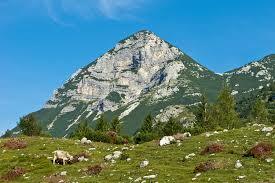 The Galleries are one of the natural sights on the Triglavska Bistrica Trail. THE LAKE JASNA – before the first road bends to Vršič, stop for a short break at the Jasna Lake. It consists of two interconnected artificial lakes at the confluence of the Velika Pišnica and Mala Pišnica streams. 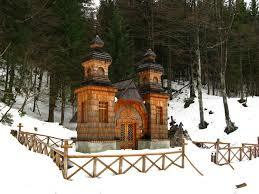 THE RUSSIAN CHAPEL – above the road rising at the south side to the 1611 m high Vršič Pass, stands an unusual monument from the times of World War I. The Russian Chapel was erected in memory of the suffering of thousands and the death of several hundred Russian prisoners. 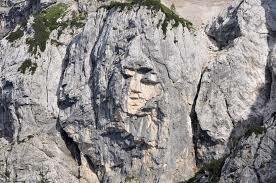 HEATHEN MAIDEN – one of the most beautiful works of art formed by nature can be found along the way to Vršič. 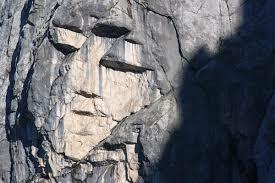 The stone face of Heathen Maiden in the northern face of Prisank can be best seen from the viewpoint at ‘Poštarski dom’ mountain cabin at Vršič, but it is also visible from the Erjavec mountain cabin. VRŠIČ PASS is the highest road pass in Slovenia and connects Kranjska Gora (Gorenjska region) with Bovec (Primorska region). 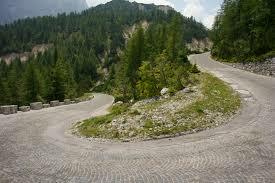 The road, built by Russian war prisoners during the 1st world war, runs through the heart of Julian Alps and the views from the road simply call out for a stop-over. A short walk at the summit of Vršič pass is described here and is meant especially for those who wish to “stretch” their legs and have a meal in one of the mountain huts on the way. The walk offers an exceptionally good view of Mt. Prisojnik wall and other summits on both sides of the pass. Also suitable for children. 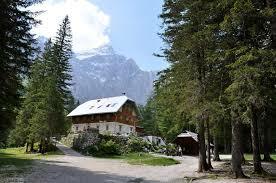 THE TRENTA LODGE IN LOG welcomes all visitors who wish to learn about the Triglav National Park, its flora, fauna, culture, geology, geomorphology and hydrology. 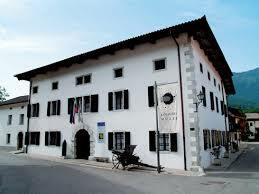 The Trenta museum contains impressive exhibitions of the Trenta valley’s ethnic, cultural and historical heritage. A reconstruction of a Trenta house with its black kitchen shows how people in this area once lived. KOZJAK WATERFALL – a half-hour walk from Kobarid through a pleasant forest near the Soča river will bring you to one of the nicest waterfalls in Slovenia – Great Kozjak. The ambient approaching the waterfall is spectacular – increasingly narrow walls, stunning rocky amphiteather and the cute waterfall with its beautiful pool. Amazing! 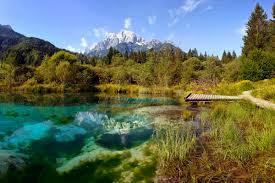 THE ZELENCI LAKE can be discovered immediately after the village of Podkoren on the southern side of the main road. This natural reserve is home to various interesting flora, among it carnivorous sundew, and among animals, amphibians and nesting birds are represented in large numbers. Following a wooden footbridge, you can walk to the lake and around the swamps without harming nature. An unforgettable green experience. PLANICA NORDIC CENTER is not only the ski flying hill or starting point for a trip to the Tamar Valley, but can also be a very interesting family trip in itself. 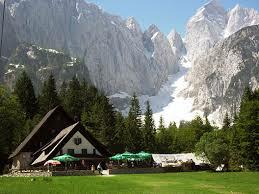 Go from Rateče and explore this picturesque Alpine valley. Its floor is covered by glacial moraine and scree. First, you walk between uneven meadows, and then turn into the forest. While walking, you can admire mountains and slopes of up to 2,500 m. The two-thousand-metre peaks of Mojstrovka, Travnik, Velika Dnina, the Ponc mountain chain and Jalovec will astonish you, and the mountain hut in the Tamar Valley will make for a pleasant end to your trip. TAMAR VALLEY extends into the picturesque Alpine Tamar Valley – starting point for extreme mountaineering in the Julian Alps. It is surrounded by magnificent mountains of Mojstrovka, Ponce and Jalovec (the most beautiful peak in the Julian Alps, the symbol of Slovene alpinists). 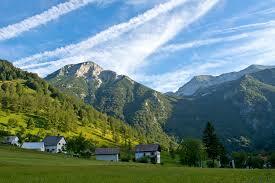 Right at the foot of magnificent mountain walls the green oasis with the Mountain Hut Tamar is situated. This place used to be a pasture with the sheperd’ s cottage in the place of Present Tamar Hut.